MacAllister Outdoors is your one-stop Kubota dealer in central Indiana for dependable, hardworking power equipment that can help you get more work done in less time — in any outdoor environment. 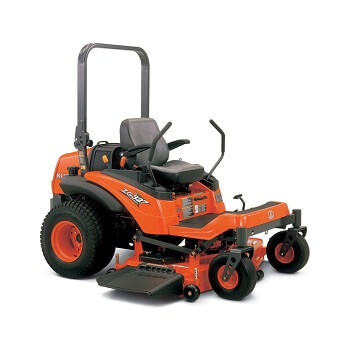 Our broad selection features a variety of mowers, tractors, utility vehicles and more for industries such as landscaping, construction and agriculture. We’re proud to offer machines representing some of the most respected equipment brands in the industry, including an extensive assortment of new and used products by Kubota. Kubota introduced its first tractor to the United States in 1969 and its four-wheel drive compact tractor was a first for the industry in 1974. 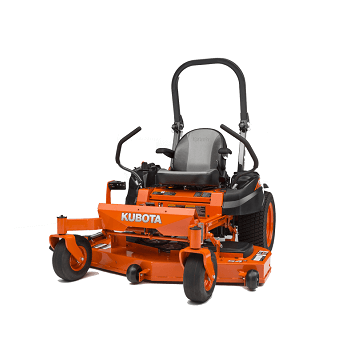 In the four decades since, Kubota has expanded its product line to include four lines of compact tractors, turf equipment, utility vehicles, and more. 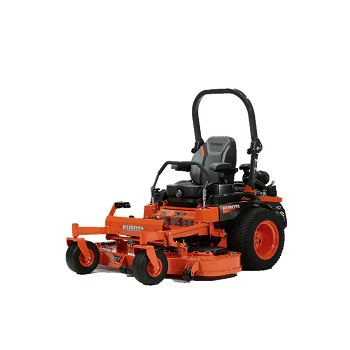 MacAllister Outdoors carries a full inventory of Kubota T Series, S Series, and Z series mowers. 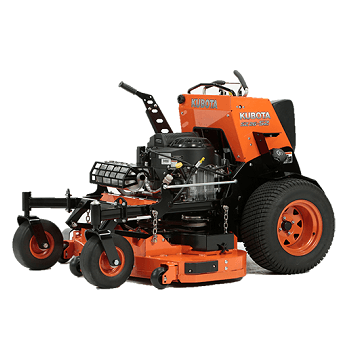 Learn more about each series and the options available by visiting the Kubota website. 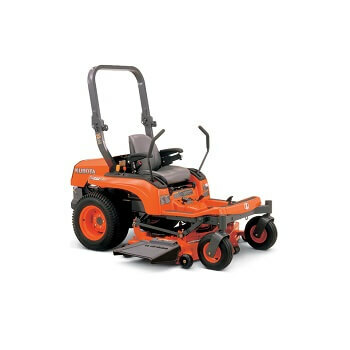 Kubota lawn and garden tractor mowers are an excellent option for homeowners looking for a tractor style mower. 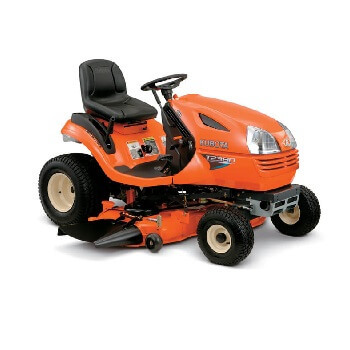 Their conventional design provides comfort and convenience and makes for an easy to use riding lawn mower. 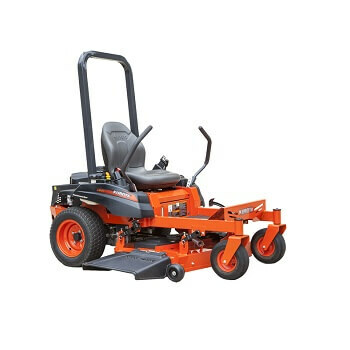 Features include a step-through platform, Kubota infinity mower deck, comfortable seats and an optional quick-attach grass catcher. 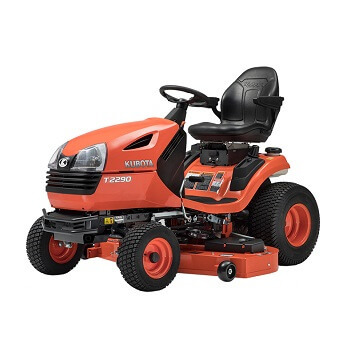 Kubota zero-turn mowers blend the functionality and comfort of residential and commercial mowers, providing the ultimate mower for those looking to get the most out of their new mower. 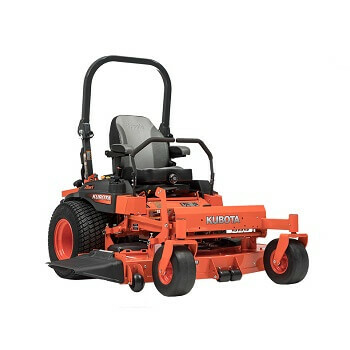 With deck sizes ranging from 42″ to 60″, Kubota zero-turn mowers enable you to handle any terrain while still providing comfort and the convenience of a zero-turn mower. 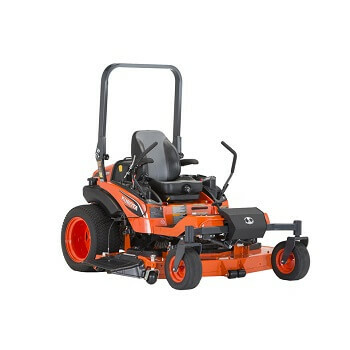 Kubota stand-on mowers are the ideal solution for larger properties, as they are some of the fastest mowers in their class and provide superior comfort. 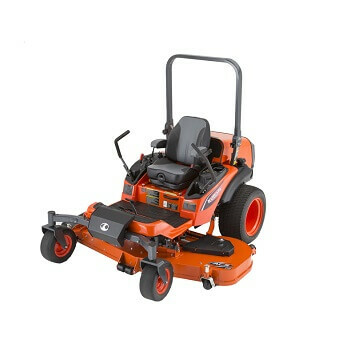 Kubota’s compact design provides the ultimate stability and maneuverability when mowing small hills. 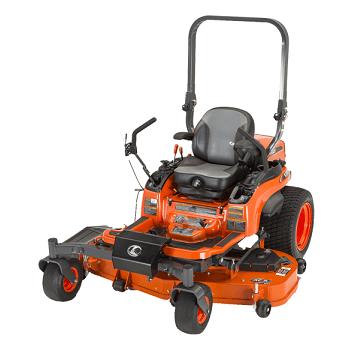 Measuring only 63″ long and featuring a fordable standing platform, these mowers take up very little trailer space. For farming, hunting, jobsite mobility or just plain fun, Kubota has the RTV for you. Enjoy all of the performance, reliability, and advanced technology that Kubota utility vehicles have to offer. Kubota Tractor Corporation has received the number one rating and “Dealer’s Choice Award” among major tractor manufacturers. Kubota offers tractors built to tackle any job — from sub-compact residential models to full-size models for heavy-duty chores. As a MacAllister Outdoors customer, you will also have access to the online Build My Kubota feature where you can custom-design your equipment to your unique specifications. Just click on your desired equipment series, then select a model and choose the custom options that work best for your needs, and Kubota will build it for you! 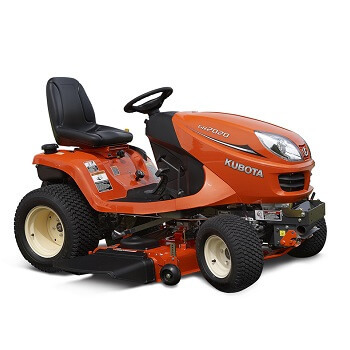 If you’d prefer not to invest in new equipment, MacAllister Outdoors also offers an assortment of high-quality used Kubota tractors, mowers and utility vehicles for sale. Our well-maintained used machines provide the ideal solution for companies looking for ways to cut costs without sacrificing performance. Landscaping: Professional landscapers and owners of sprawling private properties rely on Kubota mowers and tractors for everything from cutting grass to shaping immaculate landscapes that attract the attention of passersby. Farming: Kubota tractors can make essential agricultural functions such as plowing, cultivating, planting and harvesting faster and easier than ever. Transportation: Kubota utility vehicles enable you to move people and equipment from one place to another with maximum speed and efficiency. They offer tremendous value and versatility at large construction sites and other locations where there’s a need to traverse expansive patches of territory. No matter how you use your Kubota equipment, you can count on MacAllister Outdoors to provide timely preventive maintenance and repair service to keep it on the job. We also carry a complete selection of replacement parts for new and older models. We invite you to stop by one of our two MacAllister Outdoors Indiana locations to see our current inventory of new and used Kubota tractors, mowers and utility vehicles. Our friendly, knowledgeable sales staff will be happy to answer your questions and help you explore all your equipment options. You can also learn more by reviewing the individual product descriptions online. Make MacAllister Outdoors your single source for all your heavy outdoor equipment needs in Indiana. Contact us today to get started!